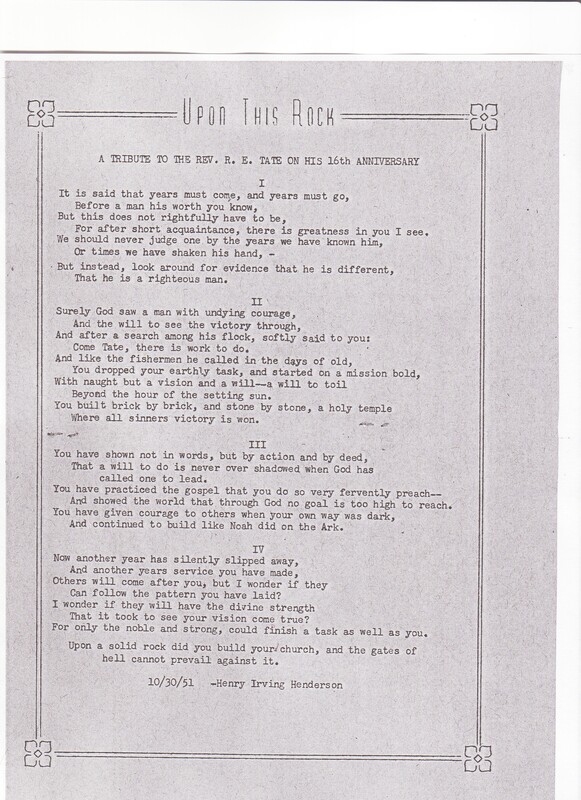 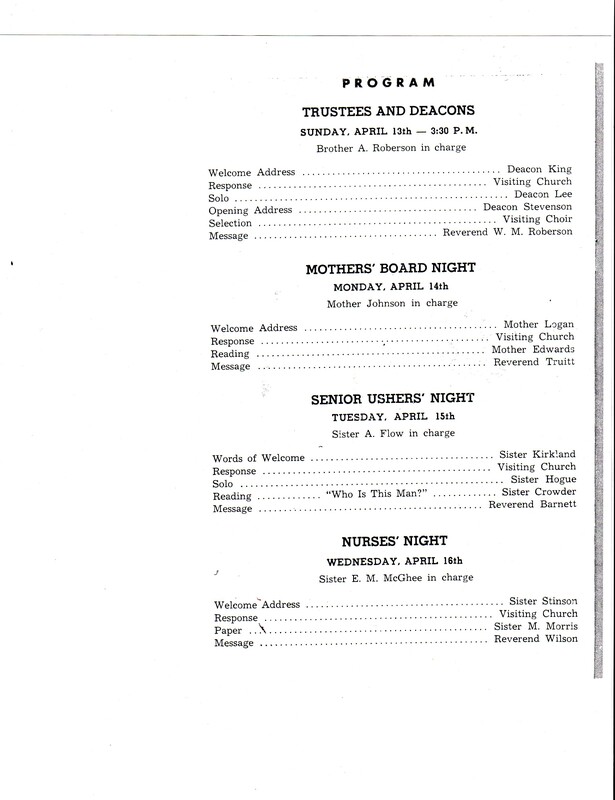 Description: A pamphlet containing information on church services provided during Rev. 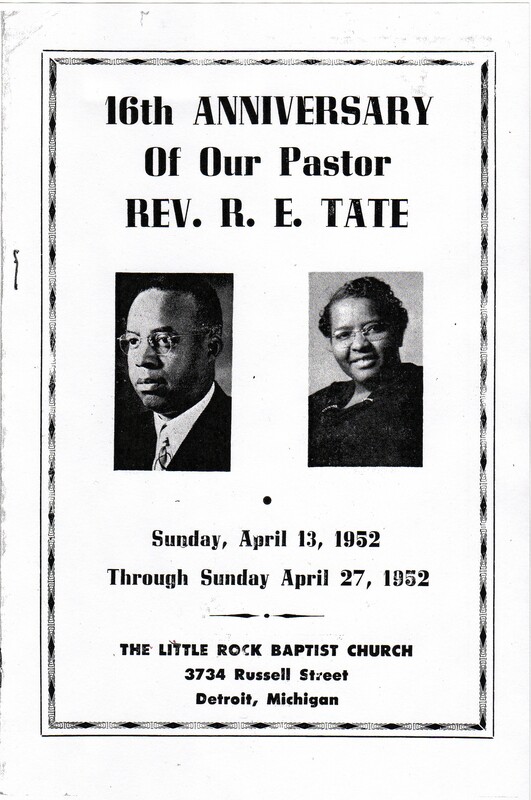 R. E. Tate's 16th Anniversary. 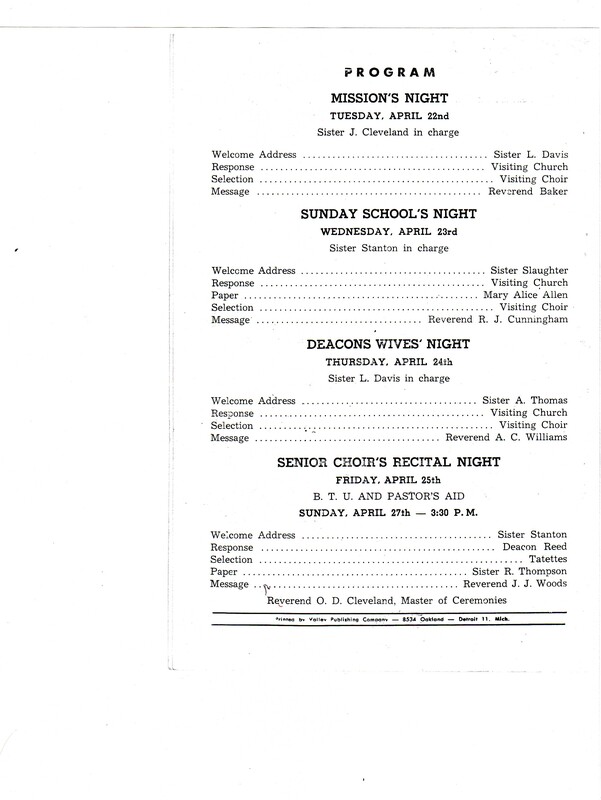 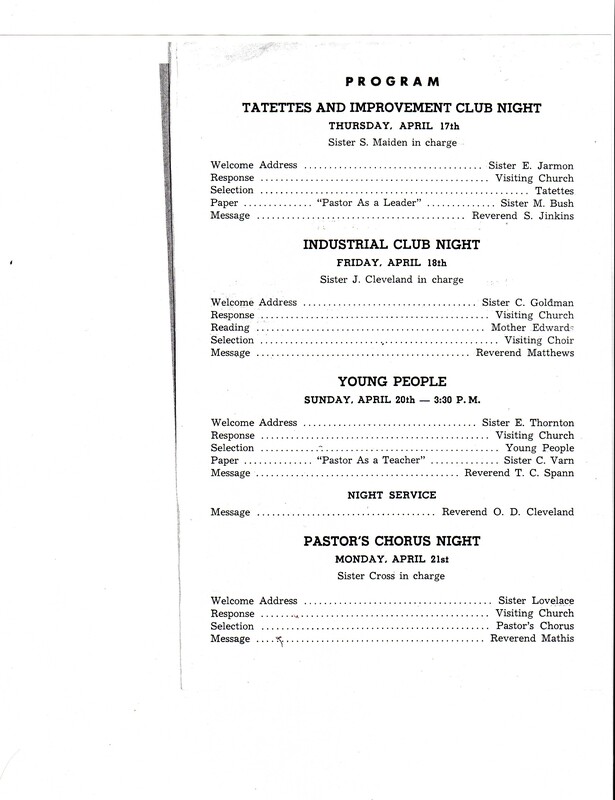 The anniversary celebration ran for two weeks (April 13, 1952 to April 27, 1952) and included many special services and visiting speakers from other churches.